About the input, it ideally should be machined learned people's behavior prediction trained by data captured by the sensors on the infrastructure, which I showed in the last post. 5 APPS: 1. Transform any glass wall to Light/Window/Screen. 2. Transform any Windows to Screens/Light. 3.Future Spotify/Pandora App on this Platform 4. Future Sleep/Focus App on this platform 5. Future Shower App on this platform. The prototype itself is a combination unit of Screens/Windows/Lights/Blinds. It is an experiment of merging several home devices into a single powerful unit/platform with scalability. This approach ensures the uniform of the platform and allows maximum freedom on developing new applications with multiple functions on the same unit. Corporations today are building protocols with different organizations to connect hundreds of different products into a family. However, it still can't solve the problem of enormous customization for each new app, for the number of different devices one household could have makes them very likely to be unique to the others. In this case, even combining all smart devices in the single home as one system, it will be smartphones of different "versions" (some missing gyroscope, some missing touch screen, etc.) for individual cases. So I think another possibility is that all the devices should be a strongly-bonded small family at first place, which are powerful units integrating multiple interfaces/functions at home. About the reason I chose this topic to start prototyping, an important reason is that the functions/interactions of windows/lights/screens have a chance to merge, integrate and evolve to a single powerful device in the home. Again, the example of iPhone, one single concentrated product/platform clear obstacles for more developers and designers to give more births to next generation of killer applications. That's why I always suspicious about multiple different kinds of devices connected at home. Why not just a few kinds, but more powerful and expressive, with difference scales and be able to tessellate to a larger system. So this post is the step 1 of my attempt to combine as many "visual apps" in our home. And of course, the other reason is that according to the hotspot test in the last post, blinds and windows probably have the most painful interaction in my apartment. This post is more about the documentation of part 1. prototype. Potential interactions and functions will come in the next post. HD Demo Video of part 1. 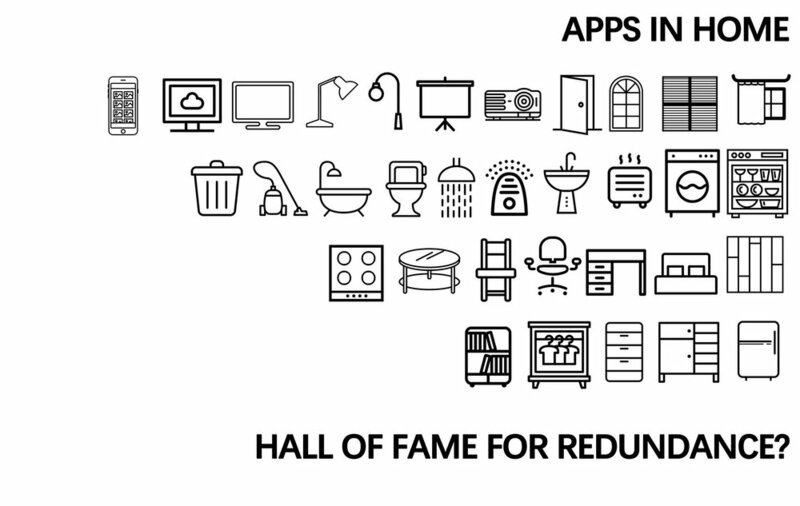 Continue thinking the future home utility framework will become an app store, then what’s the killer app? Looking into your iPhone, one certain thing is that most people won’t install multiple apps to achieve similar purposes. There might be two or three favorite killer app have similar function that one install both though, and most of time it’s for their difference strength, for example, google maps and Waze. multiple different screens (TVs, computer Monitors, smart albums, etc. ), projectors, lights (for bath, for reading, for sleep, etc. ), skylights, windows, curtains/blinds, separation screens/wall, etc. dustbins, vacuum machine, humidifier, air purifier, showerheads, taps, bathtubs, stools, sinks, washers (clothes, dishes), etc. Multiple tables (for working, for tv, for cooking, etc. ), chairs, stools, couch, beds, the floor itself, etc. shelves, cupboards, drawers, wardrobe, closet, refrigerator, etc. They might seem to be very different for different tasks. However, if we dig down to the origin function that people desire and eventually push to invent them, they are essentially incredibly similar. On lesson 1 of UI Design, Usability discipline is introduced that the most used function should be on the surface level of interface, the similar related functions should be collapse and sort under them. The design decision should be made and improved by Usability test (monitoring hotspot that users click on the UI and the sequential behavior). 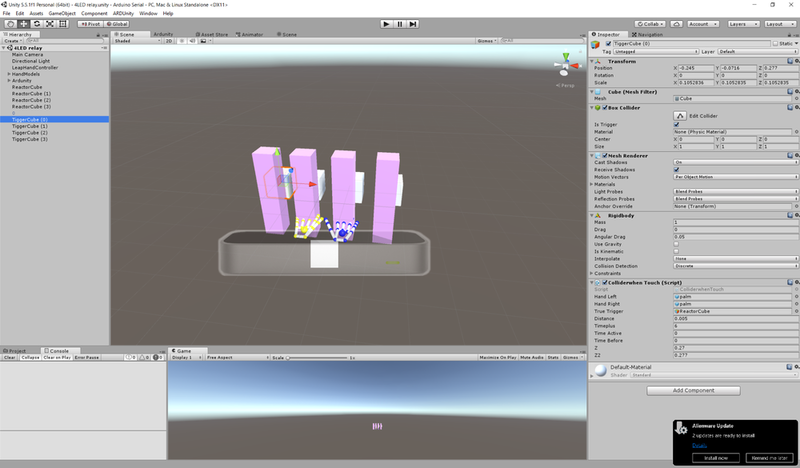 I am also part of the team developing a visualizing tool in Hololens (link). Weirdly and Interestingly, after the insightful readings, One of the image first showing in my mind is the comparison street view of New York in 1935 and 2012. It occurs to me many times that the only way to tell these are pictures taken separated for a long gap of time is shot from the same location is looking at road infrastructure, which may be the only thing unchanged in more than a hundred years. This ring a bell, for the dominance and long lasting of the road come from a reason that being an infrastructural level of urban elements. They are the slowest in the renewed cycle of urban elements. The frequency of updates of the other urban elements is often related to how strong the connection between them and the infrastructure. As urban infrastructure like road/gas/water/electricity grid, it is not required/designed to be adapting fast. Instead, other elements “growing” on it needs to adapt fast to the new world and also need to meet the unchanged tolerance and requirement of urban infrastructure that they base on. The relationship between urban elements “grow” on the infrastructure layer and the layer itself is different. The surface layer, cars, street furniture, banners are elements not essentially attached to the infrastructure, which is upgraded the most frequently. The closest layer, Architecture, are deeply rooted in and attached to the urban infrastructure. They are desired to fit in the limitation of the infrastructure. Therefore, it’s been updated with a rather low frequency and often takes a huge effort. And the layer in between, which is content inside the building or the function/floor plan, are not directly attached to the urban utility level, but they also to some extent have to adapt to the transportation condition, geographic condition, the economic condition of the surrounding infrastructure to strive better. In general, the weaker the connection between the element with the infrastructure, the faster it will evolve. On the other hand, the closer, it will be harder for them to change for certain resisting requirement coming from the infrastructure side. (top fig. on the left.) So no wonder architecture is adapting technology slowly. The same thing also happens in the living environment scope in our home (top fig. on the right). After modernism, we can’t blame structure for causing reconfiguration problem anymore. However, the power outlet, gas outlet, and water outlet are often fixed when a home is built and hard to reconfigure and update ever since. Thus they become the essential utility/infrastructure level. Add all the other layers revolve around it. The most attached layer is the room configuration/floor plan layer of the home. The design of room configuration is always bond with the plumbing and water system and electricity wiring system. Once those are fixed, it will become hard to reconfigure room’s function, especially the kitchen and restrooms. The second layer which is the specific room arrangement, it’s relevant easy to update and reconfigure but is still constrained under the room’s function, and of course the power and water outlet. The most distant layer, home gadget, are having amazingly short life/renewing span today. If it is not the restraint coming from the utility layer, the ease of reconfiguration on the floor plan level can potentially be the same. And home won't be just container/junkyard of smart devices. To achieve a reconfigure experience as easy as buying a new gadget like a monitor on the room function level. I believe a modular reconfigurable infrastructure is the key. Think about how much freedom if one doesn't need to care about water/gas/power restriction while reconfiguring his/her home. For all the years of argument between smart devices and smart infrastructure, I stand firmly on the infrastructural side. With the correct modular, scalable, affordable smart infrastructure unit, the restriction of all layers of reconfiguration will be released. We can foresee design more useful, flexible, versatile, dynamic and affordable. After the correct smart infrastructure come, there won’t be an argument between the importance of smart infrastructure and devices. At the end of the day, the App store has to come first, and all the apps we love come along after.